So after posting my load out on a different thread, Ian_Gere suggested that I make a gun sleeve for my sniper rifle. So I bought a cheap Flecktarn t-shirt off of Amazon and started to make a gun sleeve. Issue is that I can't cover the rest of the stock because the sling, bolt and trigger guard will make sliding off the sleeve impossible. 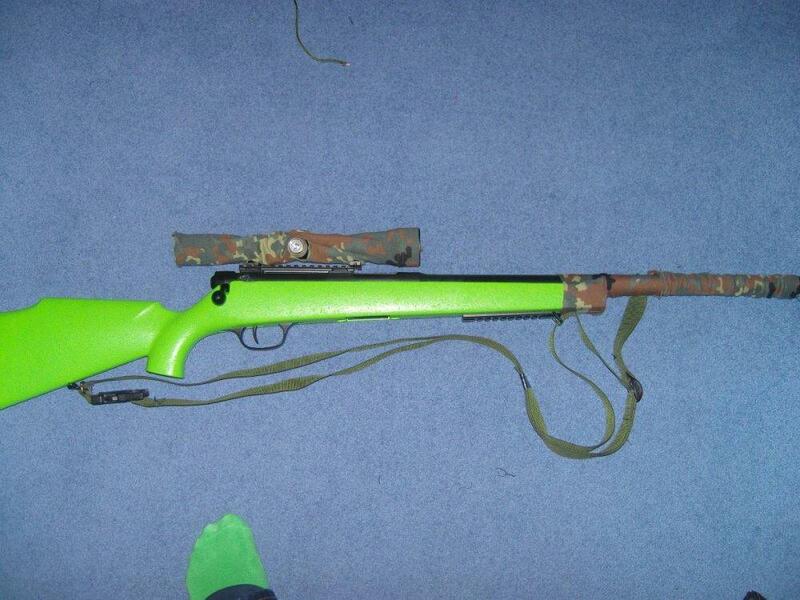 Also, I can't cover up the part of the barrel underneath the scope because that's where the stick mag goes. Also, I need access to the ejection chamber as well. Any ideas on how to combat these issues? Also, I made a handguard cover for my new G&G CM16 Carbine, what do you think? 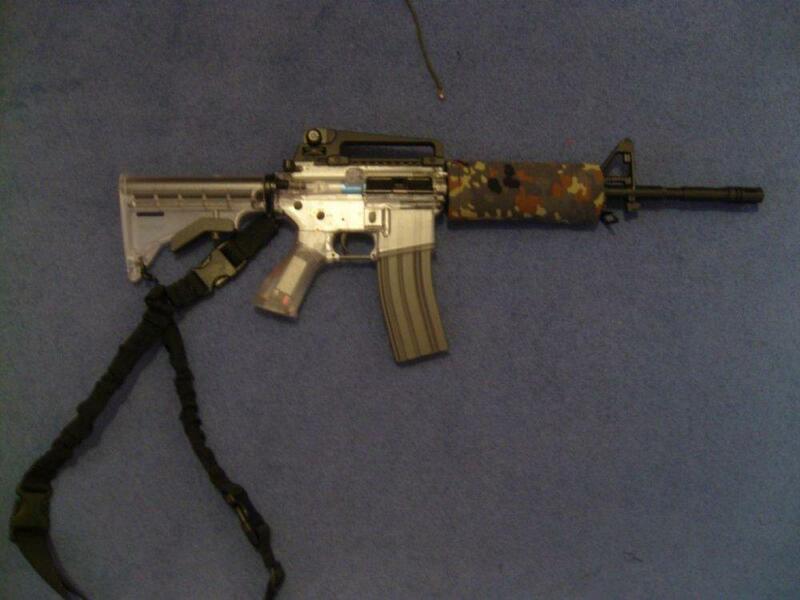 Can't say I particularly love the look of Flecktarn on an M4, but it looks like it'll do the job you've set of it. But I have a mate who made a Flecktarn sleeve for his AK, and a small satchel and even a pistol holster. He's on the forums, but relatively inactive. I love it, your socks match your gun! BTW, congrats on your 100th post! Why didn't anyone congratulate me on my 100th post? Or 200th? Or 500th? Or 1000th? Still waiting for your reply to that thread about ARES!!!!!!!!!!!!!!!!!!!!!!!!!!!!!!!! !